Calling all desk warriors and office bods, it looks like those 8 hour days sat in work might be doing us more harm than we know. A recent report published by Lancet medical journal suggests that sedentary desk work has now become just as much of a risk to public health as smoking; almost 5 million deaths occur each year due to smoking, with numbers for death as a result of inactivity shown to be similar. While current UK health guidelines suggest 30 minutes of exercise should be had each day, this report suggests more is needed to tackle the effects of sedentary day jobs. So in a bid to get us moving, office supplier Furniture at Work has teamed up with Manchester Yoga Central to design a simple and effective yoga-based workout to improve strength, flexibility and stamina while getting in that full hour of daily activity. Mid-morning coffee breaks may now be swapped for a quick yoga session, to keep us living longer. It seems some of us may be missing a trick with our nutrition, having forgotten the importance of an iron-rich diet. While women and children have always been seen to risk of iron-deficiency, being low consumers of lean red meat, fitness fanatics are now also considered to be at high-risk for the deficiency. A recent study published in Network Health Dietitians shows how the body uses iron, and explores how easily a deficiency of this energy-driving micronutrient can erode stamina and physical performance. So how do those of us hitting the gym but missing the iron mark get it right? According to lead author Dr Carrie Ruxton, the simplest way to up your iron intake is by eating more red meat. The ‘haem iron’ found in it is suggested to be more available and readily absorbed by the body than non-haem iron, found in fortified foods and plant sources. Looks like steak is back on the menu. There’s a new fitness hybrid on the horizon, hitting London’s fitness scene with active flare like no other. Two of the capital’s leading fitness pioneers have come together to introduce a new brand of ‘active entertainment’. 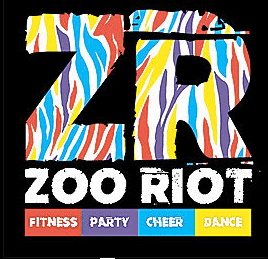 Combining Jessica Zoo’s cheerleading venture Zoo Fever with Craig Addison’s popular Zumba Riot classes, the end result is aptly titled ‘Zoo Riot’. Offering classes based on dance performance, the creators suggest this new craze to be more like a party membership than a gym one. Having formed dance group Zoo in 2007 to go on and create global phenomenon ‘Cheerobics’, Zoo thought it was only right to pair up with Addison, leader of one of the biggest Zumba networks in London. What both fitness trends have in offer is the ability to make getting fit and strong fun, which we can support 100%. No more boring gym sessions for Londoners. Did You Know? One hour of Zumba can burn between 350-600 calories, with ‘Cheerobics’ promising to burn up to 700 calories in a session. We’re still reeling from the excitement of the summer’s Olympic games in Brazil’s major city, Rio de Janeiro. Not only did we come up trumps in the medal count, we seem to have proved some fitness-phobes wrong. A recent study from the University of Kent looked at elite British athletes from both swimming and boxing, discovering that asthma related breathing problems proved to be no barrier to success. Researchers from the School of Sport and Exercise Science suggested that airway dysfunction found in a high proportion of elite swimmers, was likely due to environmental exposures and the repeatedly high respiratory requirements of the sport. Nonetheless, this didn’t stop us from getting six swimming medals, including a gold from the incredible Adam Peaty. So don’t let asthma shouldn’t stand in your way when hitting fitness, and possibly Olympic, goals. Our gym sessions may be doing more good for us than we think, especially if we’re partial to a few (too many) drinks once the work week is done. A new study from the University of Sydney has revealed that just exercising at the basic recommended weekly fitness level of 150 minutes moderate-intensity activity, may be enough to offset some of those harmful effects brought on by indulging in our one too many of our favourite tipple. Findings suggested that the risk of cancer did not increase with alcohol consumption in physically active people, as it did amongst inactive people. The physically active group studied were only seen to increase their risk of cancer and death from any cause if associated with severely harmful levels of drinking. So whilst a tipple or two and a few gym sessions won’t hurt, we still have to reign it in a little bit with our weekend splurges. For a lot of us, the last thing we want to do after a long day at the office is head to the gym to knacker ourselves out further, but this may be just what we need to curb those evening cravings. According to a recent study from the University of Alabama at Birmingham (US) those of us that exercise after doing mentally demanding work eat fewer calories than those who remain sedentary. 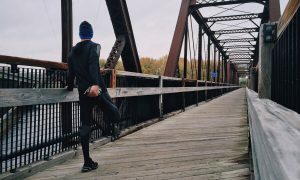 The study focused on observing whether glucose and lactacte produced during exercise could serve as an energy offering to the brain, instead of food consumption. Lactate was found to have increased significantly in those that exercised, a group that was also found to eat less calories than they did when relaxing after mentally hard work. The outcome of all of this seems to be in support of post-work exercise, especially for those of us looking to gain a handle on our evening appetite. Those championing the paleo way of life may have more to cheer about that we thought, especially for the health of our tickers. Findings to be presented at the American Physiological Society’s Inflammation, Immunity and Cardiovascular Disease conference suggests that the Paleo diet may induce positive effects on heart health. The study took a small group of people who usually indulge themselves with a diet high in processed foods, and switched them to the Palaeolithic diet consisting of only foods thought to be available to our ancestors; aka zero dairy or processed goods. Results discovered a significant increase in immune molecules after eight weeks on the diet; when deficient in these molecules, the body is at higher risk of heart attack. Scientists also believe that these molecules counteract inflammation within the body, providing protection for blood vessels. Looks like an autumn clear-out of our grocery cupboards may be in order. We’ve all heard about it, and seen it in quirky health cafes as an ingredient in everything from lattes to ice cream. But why exactly is everyone going so crazy for Matcha Green Tea? Plenty of reasons, it would seem. With an anti-oxidant count thats seven times higher than dark chocolate, this powerful plant also contains cancer-fighting catechins such as anti-carcinogen EGCG. Studies have also shown this superfood to lower ‘bad’ LDL cholesterol and increase thermogenesis (the body’s rate of burning calories). Not convinced? Matcha has also been found to be rich in Chlorophyll (a strong detoxifier for the body), with five times more L-theanine (stress reducing amino acid) than normal green teas. Lastly, this magical Matcha has also been revealed to be full of easily-digestible dietary fiber, which alongside the obvious, is also great for stabilising blood sugar. Matcha lattes for us, please! Have you ever wondered why some of us need more coffee to function than the rest of us? 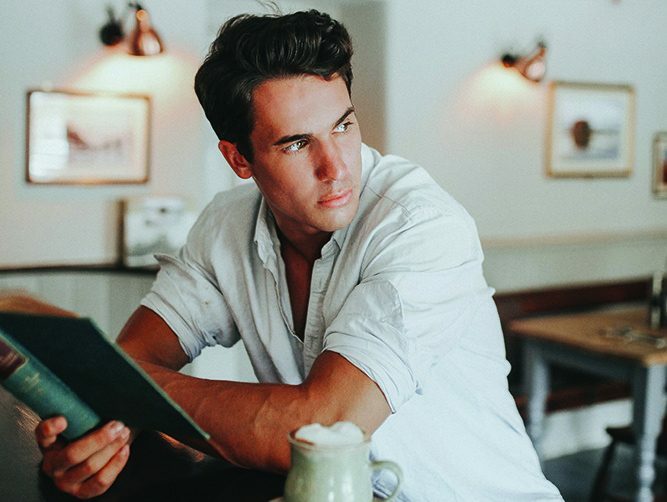 Whether you’re confused over the caffeine hype, or find yourself spending too much time ordering espressos, new research can offer a little insight into this issue. According to researchers at the University of Edinburgh, those of us with a DNA variation in a gene called PDSS2 tend to drink fewer cups of coffee than the rest of us. The gene is said to reduce the ability of cells to breakdown caffeine, causing it to stay in the body for longer. This means that a few lucky ones amongst us don’t need as many trips to the cafe tierre as others to feel the same caffeine hit. Unfortunately this also means theres not much we can do if we’re not blessed with this coffee curbing gene. In today’s world we’re all a little rushed off our feet and tight on time, so how on earth can we expect to squeeze in time for some of that all-important relaxation that we keep hearing so much about? You’d be surprised. 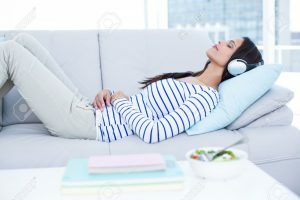 Simple things like listening to calming music on the commute, taking 10 minutes out to focus on your breaths and clear your mind, or prepping healthy snacks for busy times of the day, can help us in our quest for a less-stressful life. Another simple method that has been suggested is the ‘Gratitude List’, for those of us that need to remind ourselves of all the things we’re grateful for, at times when we feel overwhelmed by it all. Some of the more relaxed among us all suggest taking a walk during our lunch break, to get our blood flowing and our lungs breathing in fresh air. Others stress the importance of organisation and planning the night before a busy day, giving ourselves the best chance at pulling through that hectic schedule. If you thought you were smashing the fitness scene with a few weekly trips to the gym and a salad now and again, think again. One 15 year old is putting all the rest of us to shame, having already completed a whopping 30 triathlons over the course of three years. 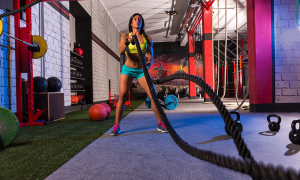 Lola De Los Santos from Dallas talks of her typical week of workouts, including biking, running, swimming and strength training with fitness company Playtri. With a personal best of 6.05 minutes for a mile run, and having had swimming lessons since she was less than a year old, this girl is paving the way for future fitness-loving pre-teens. With plans to become an Olympian at the forefront of her mind, Lola continues to sign up for any triathlon she can. Looks like the rest of us might need to reevaluate our fitness schedules; if she can, we can too. Ease Anxiety, learn about the benefits of Magnesium & more in this months news! Memory Boosters and more in this months news!